Let us complete the desired experience for your meetings, events and conventions with vibrant graphics. “Getting noticed!” That’s what our event marketing and tradeshow clients need to have happen. Design Dynamics can be counted on for a wide range of indoor and outdoor event marketing graphics. No matter the type of event or where your tradeshow is, we can put together affordable solutions. With only seconds to catch a prospective client’s eye, your trade show display must be top quality. 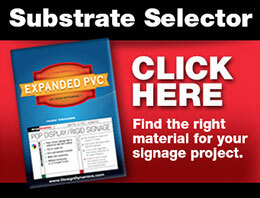 Dynamic signage printed by Design Dynamics is what you need to differentiate your message from the rest. With all the energy surrounding the event, you can ensure your message is well received with graphics that tie the entire event together. This is particularly meaningful to your sponsors who benefit from attention-getting sponsorship signage for a more effective form of marketing and advertising for sponsors to target potential customers through the support of building and event signage. Special events require special signage. Talk to one of our design consultants today about graphic options that will save you money and create revenue for your organization. Whether your event is indoors or out, we can help you put the whole package together to make your event memorable.